As a part of her final project for nursing clinical hours, Streck, a senior nursing major, is creating a support group aimed toward young adults aged 16 to 25 who grew up having a parent with Alzheimer’s. The group’s name, Growing Up Purple, features the official Alzheimer’s awareness color. Jason Davison got a haircut yesterday — but instead of walking to one of the many barber shops in Oakland, he got the same treatment by sitting on a folding chair in the middle of the William Pitt Union Lawn.From noon to 4 p.m. yesterday, Pitt’s chapter of Buzzing for Change, a student service organization, hosted a fundraiser for the Children’s Hospital of Pittsburgh Foundation in support of children with pediatric cancer. When Hannah Robinson turned the Cathedral of Learning’s victory lights blue last year, she envisioned a movement broadcast beyond the bounds of the University. The blue lights signified Pitt’s participation in the Light It Up Blue autism campaign, an annual nationwide movement to spread Autism awareness. Robinson brought the campaign to Pitt last year with Light Pitt Up Blue, a night of festivities hosted by the service fraternity Alpha Phi Omega to raise awareness for autism spectrum disorders. It’s not Halloween, but clusters of miniature Spider-Mans, Batmans and Supermans will be parading around Pitt’s campus this Sunday. HeroiKs, a student organization dedicated to motivating children to engage in service in their community regardless of age or family income level, will host its fourth annual Pittsburgh Super Stroll on Sunday. Rasheed Ali Cromwell is out to change the image of the National Panhellenic Council. Black Greek Letter Organizations, or BGLOs, Cromwell said, have lost sight of their commitment to leadership amid media-created stereotypes.You have one African-American governor, commonwealth of Massachusetts. Kristen Mowery, the founder of the Panther Autism Awareness Group, grew up with an autistic younger brother and witnessed his challenges each day. This experience influenced her during her time at Pitt, prompting her to reach out to those who know someone affected by the disorder. Eack, an assistant professor in Pitt’s School of Social Work, explained the details of the rehabilitation program in a lecture entitled “Social Work Interventions to Improve Cognition and Recovery of Schizophrenia and Autism” Wednesday at noon in Room 2017 of the Cathedral of Learning as part of the School of Social Work’s lecture series. For many students, the transition to moving off campus inspires a fresh outlook on energy consumption and conservation. Sage Lincoln, business manager for student environmental organization Free the Planet, offered a variety of simple suggestions for sustainable off-campus living. It’s early, but Pennsylvania Democratic gubernatorial candidates have begun to line up, and on Sunday, they plead their cases to Pittsburgh-area voters. The eight candidates gathered at Carnegie Mellon University at 2 p.m. Sunday to address a range of issues, including statewide fracking. According to one University administrator, the elimination of Saturday finals is impossible, but two students have compiled research and met with administrators in an attempt to tackle the challenge. 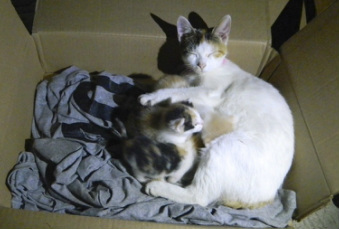 Gerald Akrie, the supervisor of Pittsburgh Animal Control, estimated that Pittsburgh’s population of strays decreased by about nine percent from 1,039 cats in 2011 to 1,026 cats in 2012. E. Maxine Bruhns, director of the nationality rooms, will allow the public to test the Cathedral’s haunted reputation during a tour of the notorious Early American Nationality Room. She will host a “ghost watch” tonight from 6 to 8 p.m. in the Cathedral of Learning.